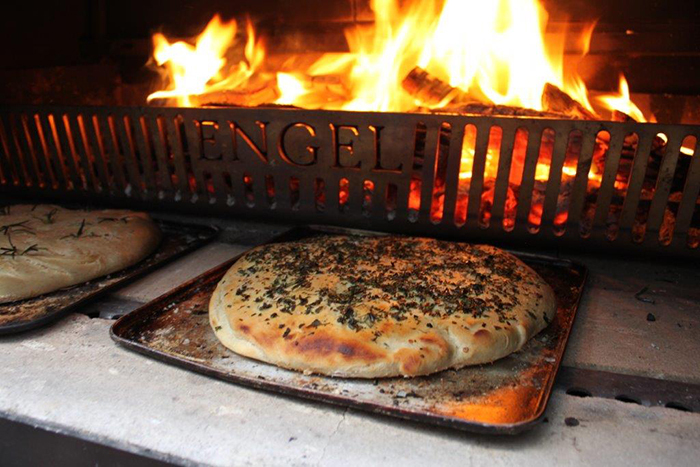 Of course, no cooker is complete without an oven, and the Engel wood fire oven is every Chef's dream. Not only does it do everything a regular oven does, but the result is this delicious, smokey, wood-fired taste, harking back to camp fires and traditional cooking. No wonder many of the best restaurant kitchens in the world have added commercial versions of the wood fired oven and grill to their cooking equipment. The flavours and aromas from wood fired cooking are impossible to replicate. Because of the size of the Engel Fire, you can fit a lot more in than you would in your typical kitchen oven. There's plenty of room even with the door closed for an entire leg of lamb, pork belly, whole fish, or even a large turkey for Christmas dinner. The ultimate cooker does everything your regular oven can do - only better. And it comes with a lifetime guarantee. Find out how you can be a proud owner of your own Engel Fire below. Copyright Engel Fires 2018. Built by LC & HPE.